Unfortunately for researchers, the church records for Sageritz and several of the civil registry offices that served the parish’s villages were lost in World War II. For many, this has created an insurmountable roadblock that has been difficult to overcome. Luckily a very large number of land registers have survived. These secondary sources can be useful to fill in the gaps where other records have left off. 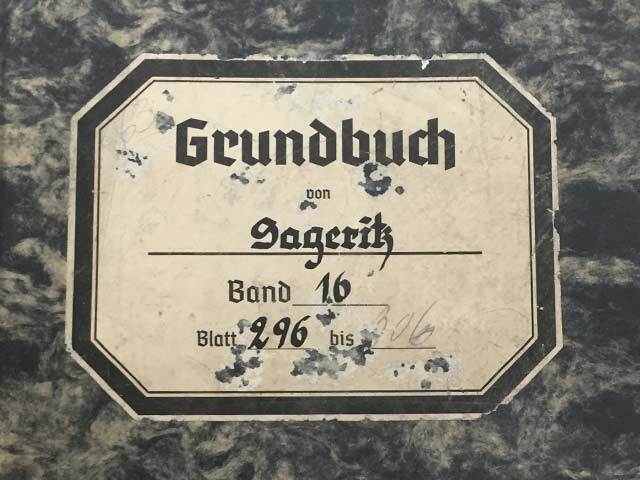 In comparison with many other Grundbücher, these records are noticeably more legible and are easier to read through. Please note that the list of names above is by no means exhaustive. The records for Sageritz can be accessed via the links below. Importantly, the Erbhofrolle for inherited farms is also included. If you notice any names that were not included in the above list, please feel free to comment below to help other researchers.